Meet my new scarf. My son named it Spirali after the Italian name for spiral pasta because that's what he says it reminds him of. Actually smiling for the camera for once. Really laughing at the photographer's impersonation of a fashion photographer. 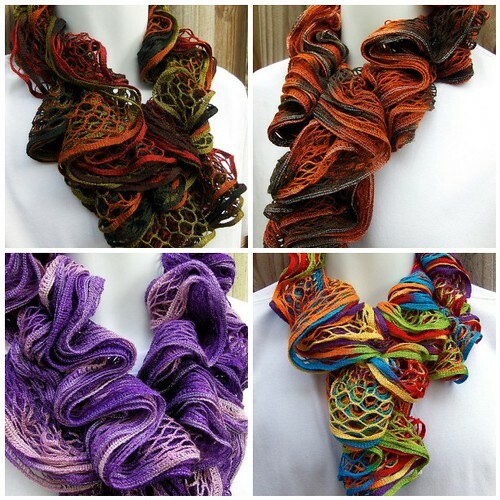 Spiral scarves are hot right now in the fibre world. Here are some examples of my favourites. If you are inspired to make one the helix scarf pattern is available free from Ravelry or from Knitting Daily. 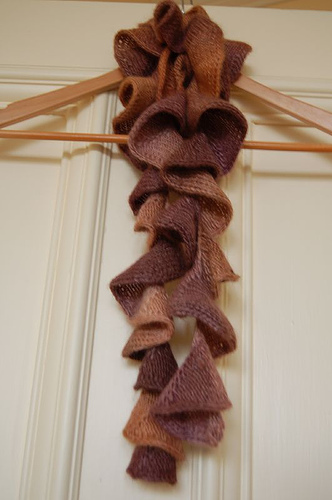 This link takes you a whole gallery of helix scarf patterns including the fall foliage version pictured above. And this one is crocheted. 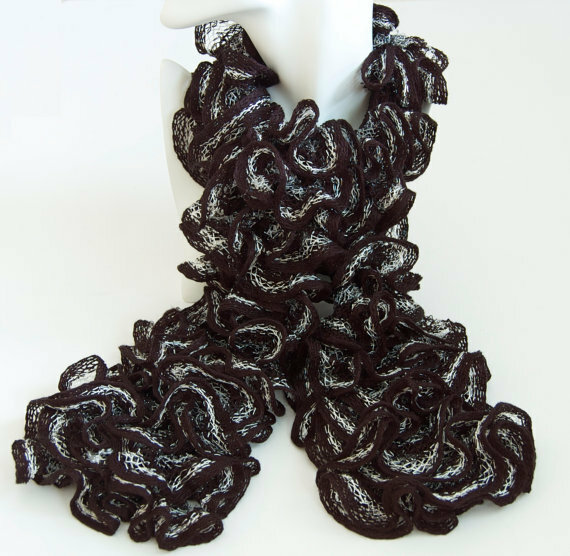 The Sunroom spiral scarf. These however could almost make me change my mind about novelty yarn like this. Techniques used: Garter stitch short row shaping. No wrapping used on the turns though. And now for Spirali's fashion shoot. The scarf was well behaved, posing happily as requested. The model even smiled (something which is unusual for me when I am having my photo taken). The photographer was perhaps getting into it a little too enthusiastically however. (Thanks Mel). The scarf is really long but worn looped around twice with the ends hanging out. And finally a photo bomb by the highly attractive photographer. Do you know you really can't take a casual selfie with an SLR? Even with a mirror?